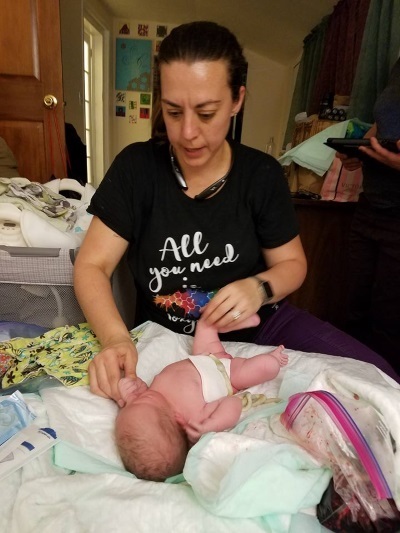 Home birth tips – giving birth is an instinctive, natural process among human beings, but that doesn’t make it easy – or less scary to think about. There have always been dangers that accompany giving birth, both physical and emotional. With the recent advent of hospital births, giving birth can be a confusing and uncomfortable experience for both mother and child, an experience that should be joyful and positive. Mainly because of a poor hospital birthing experience, people have been looking for better ways to give birth, comfortably and naturally. Home birth can be a much better birthing experience for some people, depending on their situation. A trained midwife can also help ensure that your emotional health is taken care of as well as your physical. In fact, more and more couples are turning to the home birth every year, giving birth with a competent and qualified midwife in attendance. But, if you’re considering a home birth, how do you find a great midwife who will help you through a successful birth? If you’re thinking of having a home birth, then here are some home birth tips. For people who decide to give birth in their homes, options abound. But it’s important to know what you’re looking for. There aren’t many ob-gyns who are trained in dealing home birth, as these professionals are trained to work in hospitals. In most cases, a certified midwife is your best bet. The decision of which midwife to hire is not one that should be made lightly. Direct entry midwives are the most common attendants of a home birth, as certified nurse midwives typically stick to hospital settings. A well planned pregnancy is a safer one. Know where you’re going to give birth and who will be present (in addition to the birth attendant and their assistant) is a fairly vital choice. You may not want anyone else, or you may want your partner, members of your family or some of your friends. Additionally, the exact location where you give birth should be planned in advanced. The place you give birth should be reasonably close to a hospital if something does go wrong. But, if you and your midwife have planned well, she has already dealt with any possible medical complications, and your home birth should be as trouble-free as a hospital birth. While having the birth at a friend’s house may not be the thing you’d like most, sometimes safety trumps all else. For the record, most mothers who have a home birth with a midwife choose their own homes. If things don’t go right, you’ll want to have a plan. Keeping in touch with a physician or hospital is important, and an expectant mother or her midwife should have a doctor in mind in case of an emergency. No one wants to think about a problem during the birthing process, but it’s better to have and not need than to need and not have. Your midwife will have this backup in place. The midwife should be aware of your medical history, both before and after the pregnancy began. This saves a trip to the emergency room where a wide range of unpleasant tests and interventions will be performed to get information a competent midwife could have given a hospital beforehand. Preferably you’ll have been working with the midwife for some time before the birth. You should have plenty of opportunities to discuss medical history. Most insurance companies will not cover home births. Some will cover parts of a home birth. Some claim to cover home birth, but they don’t cover nearly enough to actually help cover. Not just that, but some companies will tell you they don’t cover something, but the plan you’re paying for does. After all, it saves them money. Prenatal and six weeks of postpartum care after a birth in your home can typically cost around $3,000. This means knowing what you can and can’t afford will be vital in both the long term and the short term if you wish to have a home birth. 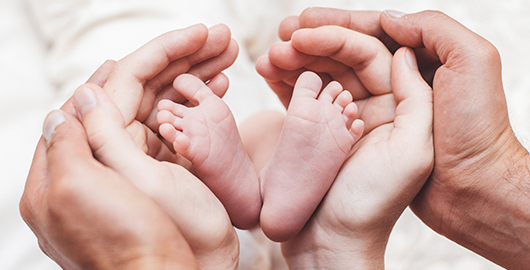 Home births are a great way for a parent to bond with their child in a familiar environment. That doesn’t mean they’re perfect for everyone. A good midwife is always worth the price, and mothers who have a home birth usually are very positive about their experience. This is especially after a conventional hospital birth. But, every situation is different, and a good home birth experience often involves how your midwife does her job. If you’ve decided on a home birth, use the tips above to help you find the best midwife you can.